BRP Hot Rods: Hydraulic Clutch Components BRP Hot Rods.com - conversion kit specialists for GM vehicles. 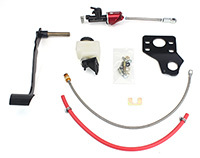 This hydraulic clutch conversion kit is a must when installing a T56 in your earlier vehicle. 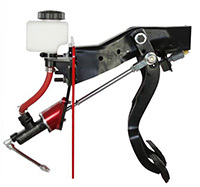 Easy bolt-in installation gets you the great pedal feel of the hydraulic system with the additional clearance for headers. Use with a 1998-02 Camaro/Firebird throw-out bearing for a dependable, maintenance-free, self-adjusting system. quick disconnect tool, and all necessary mounting hardware. 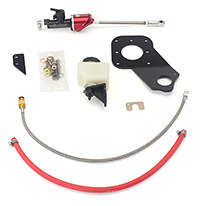 This hydraulic clutch conversion kit is a must when installing a TR6060 in your earlier vehicle. Use with an OE style TR6060 throw-out bearing for a dependable, maintenance-free, self-adjusting system. firewall mounting brackets, remote reservoir, stainless braided clutch hose, fittings, and all necessary mounting hardware. 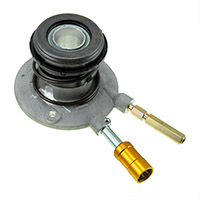 This hydraulic clutch master can be used when installing a T56 (or TR6060) in your earlier vehicle. This hydraulic throwout bearing can be used when installing a T56 in your earlier vehicle. 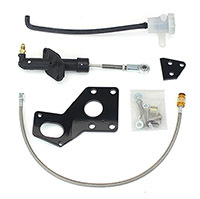 This hydraulic clutch conversion kit is a must when installing a TR-6060 in your earlier vehicle.